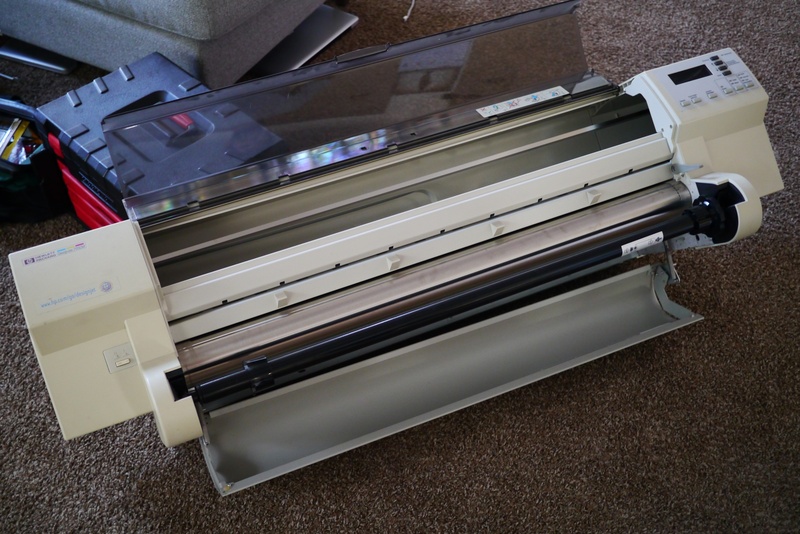 A friend of mine found an old HP plotter from the mid 90’s on the side of the road. Knowing I was into electromechanical objects he asked if he should pick it up for me, and of course I said yes. We initially though about repairing it (its drive belt had desintigrated and it needed new ink), but realized that even after fixing it it would have little resale value. We decided to take it apart and harvest it for parts, while along the way looking for interesting mechanisms and design features. 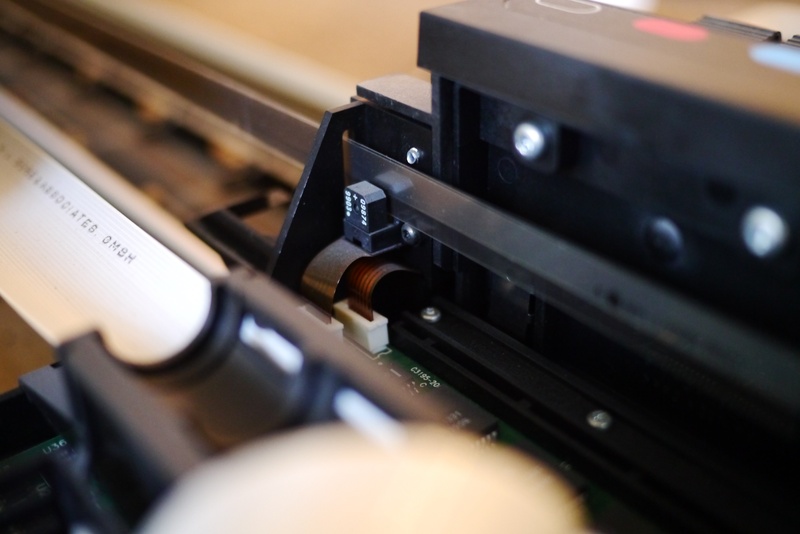 Printers are chock full of useful parts like motors, linear slides, encoders, and switches. In fact a very small crude CNC router could be made from the parts of two inkjet printers. First impression based on getting it out of the car: this thing is heavy and built like a tank; the specification sheet says 95 lbs. 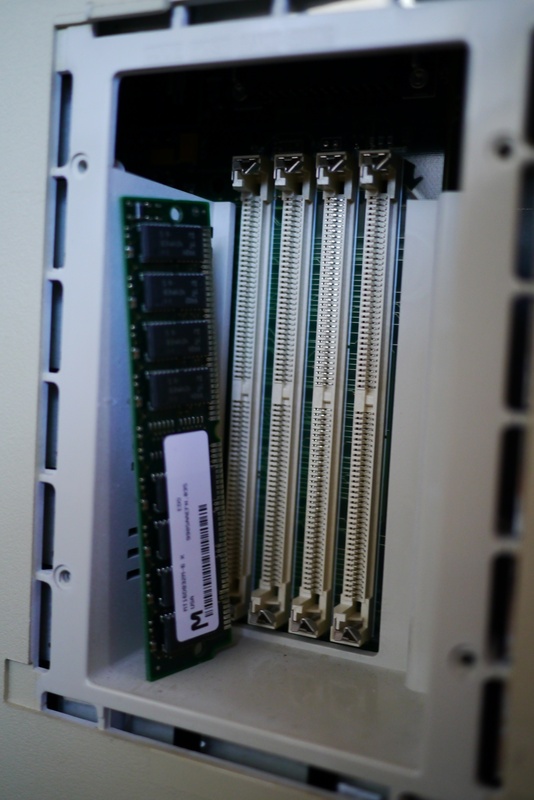 Opening an access door reveals a few MB’s of RAM on standard SIMM cards. 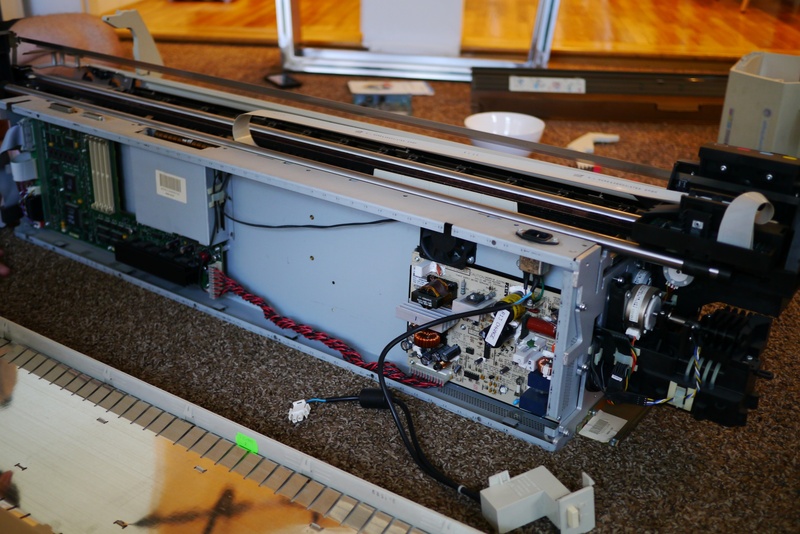 Removing more covers, and now we can see the linear encoder for plotter’s print head. This encoder sends position feedback to the plotter; once homed, the print head’s exact position along it’s travel is known. Barely perceptible scribed lines are in the lower clear portion. The black square in the center of the picture with white text is the read head. The silver looking strip is actually a stainless band that is pulled taught by a tensioner at the end. 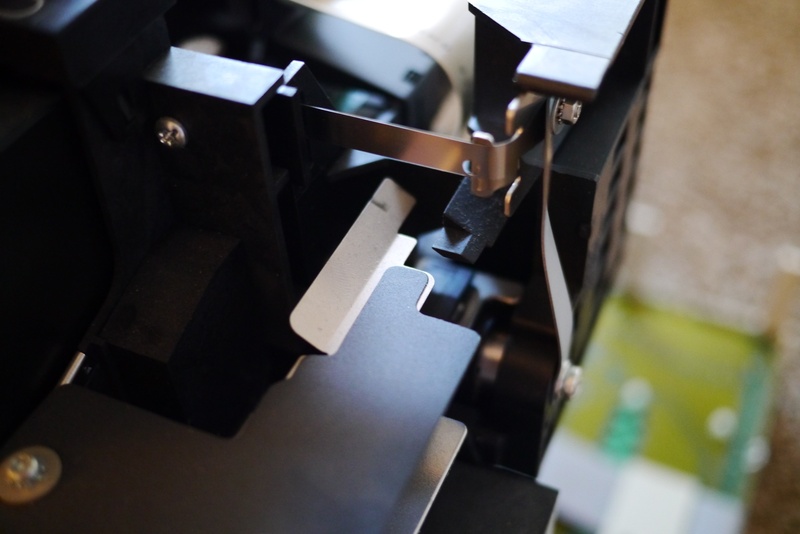 The considerable tension is needed as any sag in the encoder strip would lead to position errors of the print head and messed up prints. A view of the back, main control board on the left, power supply on the right.